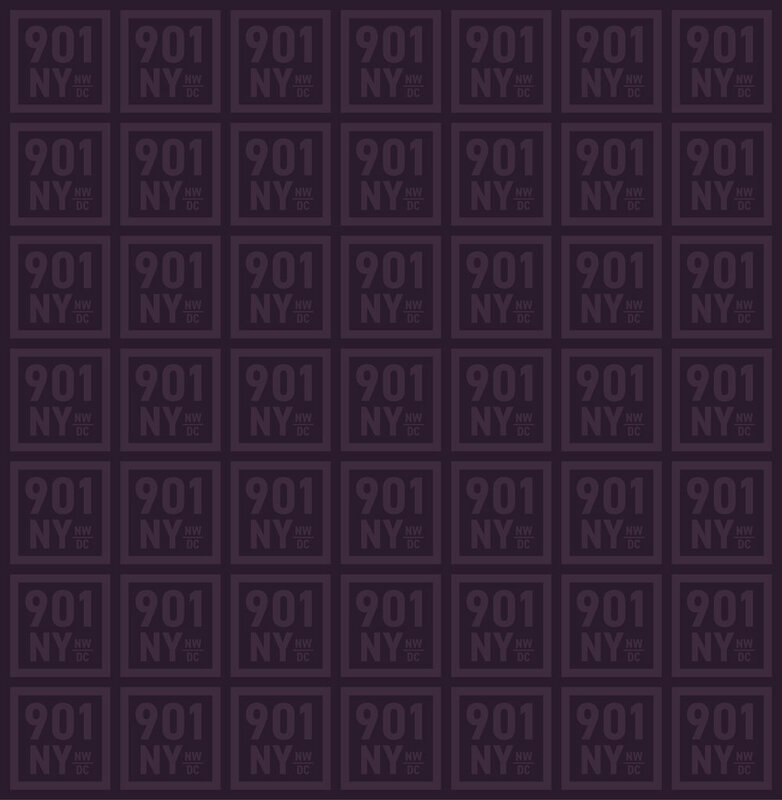 Branding and marketing package for 901 New York Ave.
With whole-block prominence, 901 NY is a full-service commercial building overlooking Mount Vernon Square. It is a stately building, standing the test of time in a neighborhood enjoying re-found vitality. 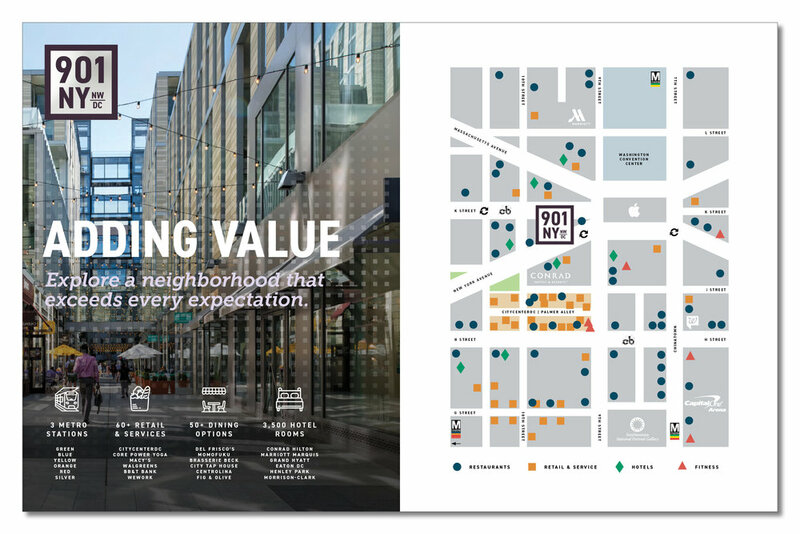 Within a short distance are high-end shopping, fast-casual and fine restaurants, and workday services that become excellent destinations for afternoon walks. 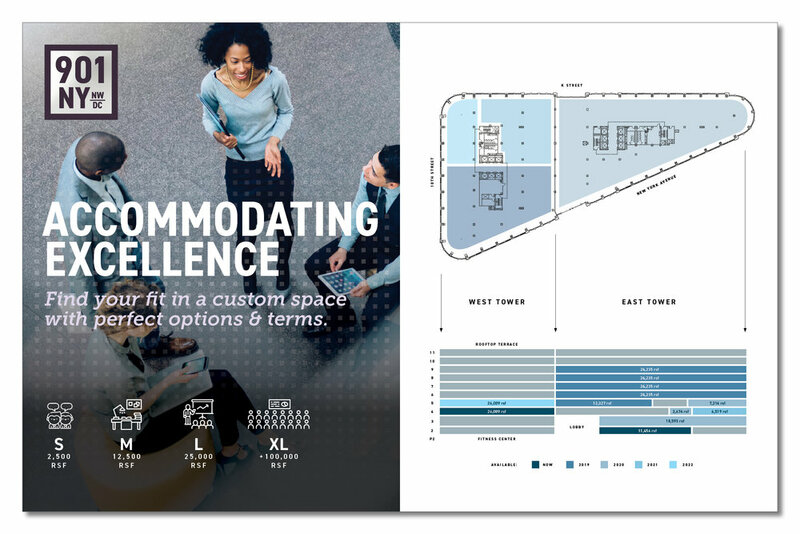 Finding value in a miscellany of available suite sizes, Hickok Cole Creative positioned the building around the tagline of “Accommodating Excellence,” connecting full-service hospitality, quality of tenant, and lifestyle aspirations. 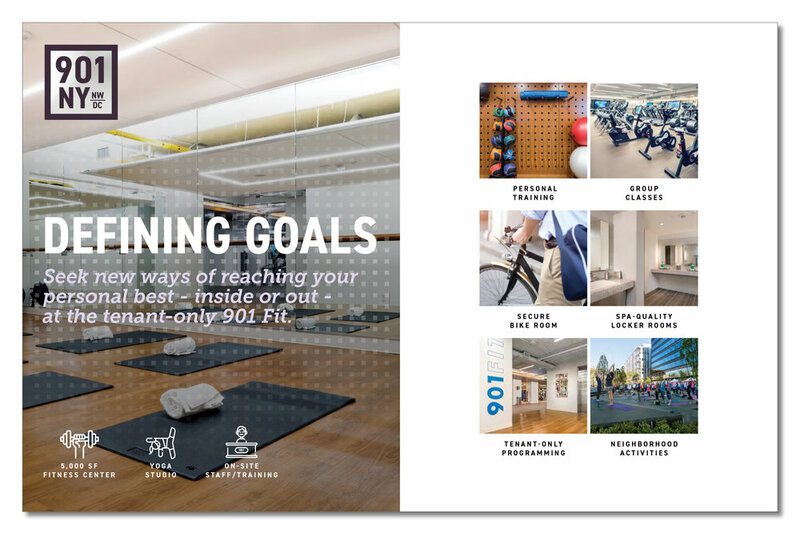 This tagline was carried through to a tour brochure of building highlights and a kit of parts for the broker team.